Perhaps it was that third helping of Grandma’s awesome potato casserole. Maybe it was the bread pudding or the eight kinds of sugar cookies. No matter the case, you may still be trying to wake from a holiday feast coma as of right now. At the same time, you’re probably making those all-important New Year’s Resolutions. You MAY keep them, you might give them the ole’ college try. However, one thing is for certain: you’re going to need a great pair of headphones to help set the pace for 2019. No one expects you to sign up for a marathon on January 1 (unless you’re into that sort of thing). But, walking is a tried and true way to burn calories and de-stress. Why not do it with a little music or your favorite podcast? 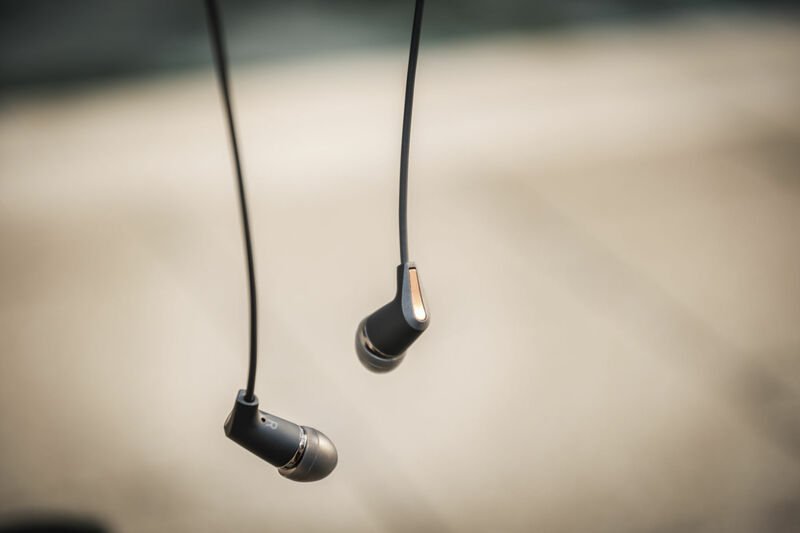 The Klipsch R5 wireless headphones are perfect for a stroll when you need some fresh air or need to take a conference call. Klipsch patented our ear tips, meaning they are literally the most comfortable ear tips on the planet. Say goodbye to adjusting your earbuds with every step. You won’t want to take them out. Weather happens. Sweat happens. Those can spell disaster with the wrong pair of headphones. Thankfully, the Klipsch R5 Wireless headphones are sweat, moisture, and rain-resistant. This means you can go sing in the rain or climb to the top of the stadium without worry that your headphones can’t hack it. One of the worst feelings in the world is when your headphone batteries die in the middle of something. Whether it be a conference call, a HIIT workout, or just a jog, you need something long-lasting. The R5 Wireless headphones use a single lithium-ion battery for more than eight hours of whatever you need. Finish that call or workout with zero stress. Klipsch’s approach to sound is legendary. Shouldn’t your headphones help set the tone for a legendary 2019 as well?